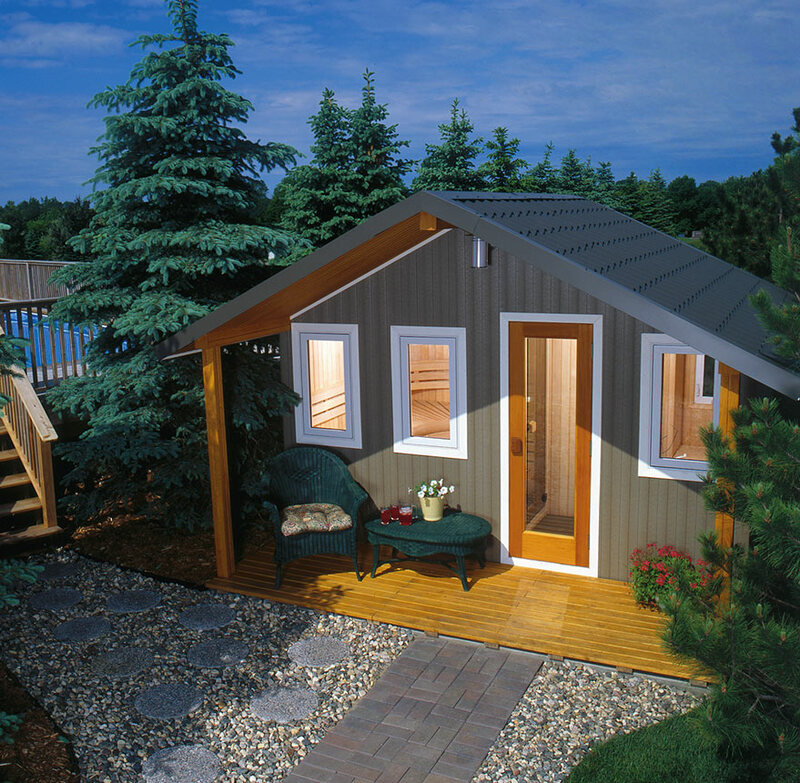 The Finnleo Outdoor saunas’ simple panel construction makes it easy to assemble anywhere you have space. 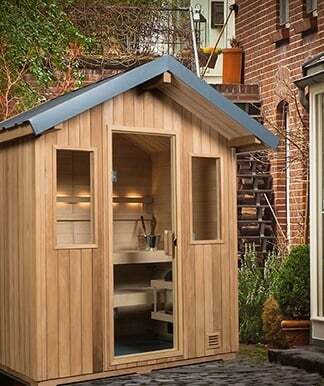 At the same time, saunas integrated walls and gable system ensure you will enjoy a strong, durable sauna that will be perfectly at home outside for many years to come. 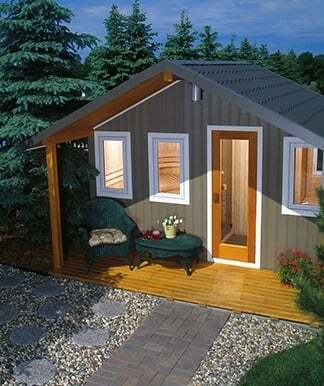 The roof kit is fully insulated and available with plywood (ready for your shingles), cedar shingles or metal roofing. Inside, you’ll enjoy all the comfort, style and attention to detail you expect from Finnleo. Nordic White Spruce or Cedar on the cathedral ceiling and walls creates a light, cozy, genuinely sauna feel. Abachi furnishings feel as good as they look, staying cool to the touch despite the sauna heat. If you have a pool or hot tub, all the better—an Outdoor sauna will only add to the pleasure you already get from them.